AUTHENTIC - "Legends of the Fall" Skirt! 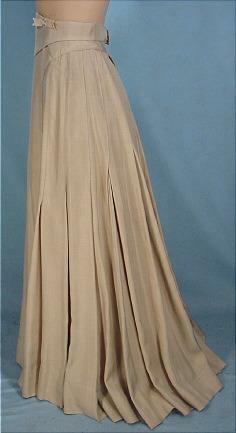 #3841 - c. 1994 Turn of the Century Designed Skirt for JULIA ORMOND in the movie "Legends of the Fall"! 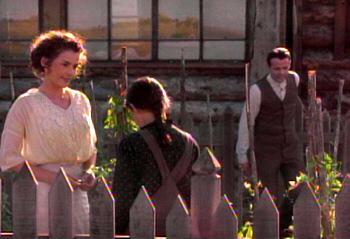 This is the actual skirt worn by Julia Ormond in the movie "Legends of the Fall". 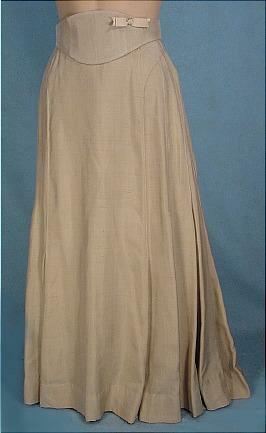 It is a custom made, 1900's style, raw silk long skirt with pleated back, with a matching cummerbund adorned with a small ribbon bow. 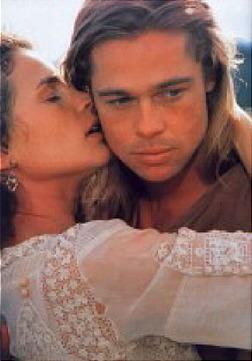 The movie has a fan base for two reasons... the love story and, of course, Brad Pitt! 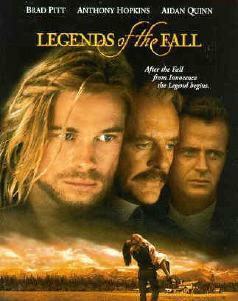 It's the epic tale of three Ludlow brothers, Tristan (Brad Pitt), Alfred (Aidan Quinn) and Samuel (Henry Thomas) living with their father in the remote wilderness of northern cattle country and how their lives are affected by nature, history, war ... and the love of Susannah Fincannon (Julia Ormond). 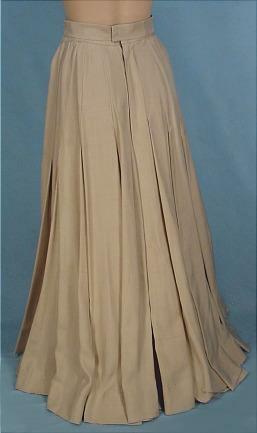 The skirt is in Excellent condition and comes w/COA. 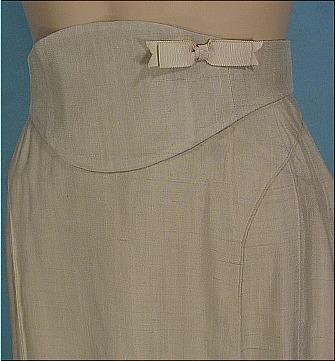 Measures: 25" waist, 37" long from waist to hem in front, 38.5" long in back. Zipper back under hooks. Great tailoring! Lovely material. Nice piece!